Babies need to beat the heat too! 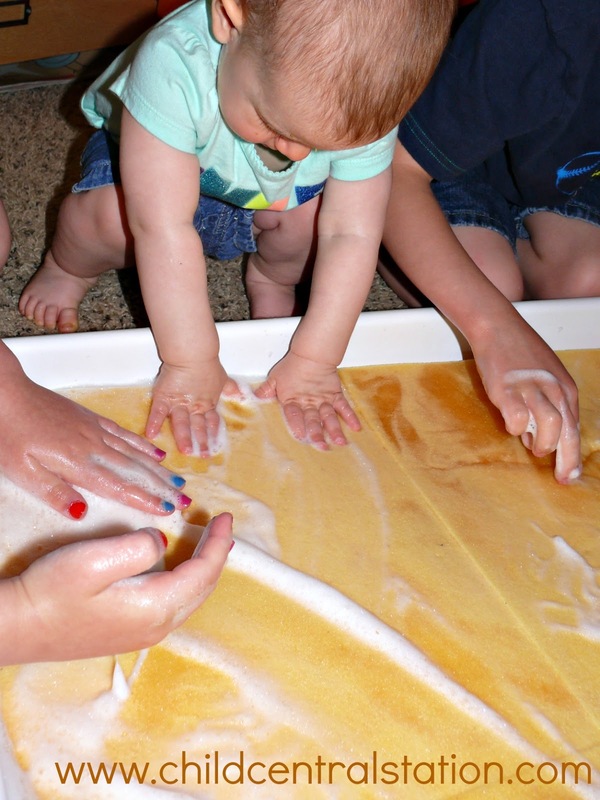 as they have trouble reaching up and into most sensory tables. where you definitely don't want the water to be too deep. sponge water table to help beat the heat! I think we spent about $10 on ours at a local hardware store. Then, we fill it with 1" thick craft foam. 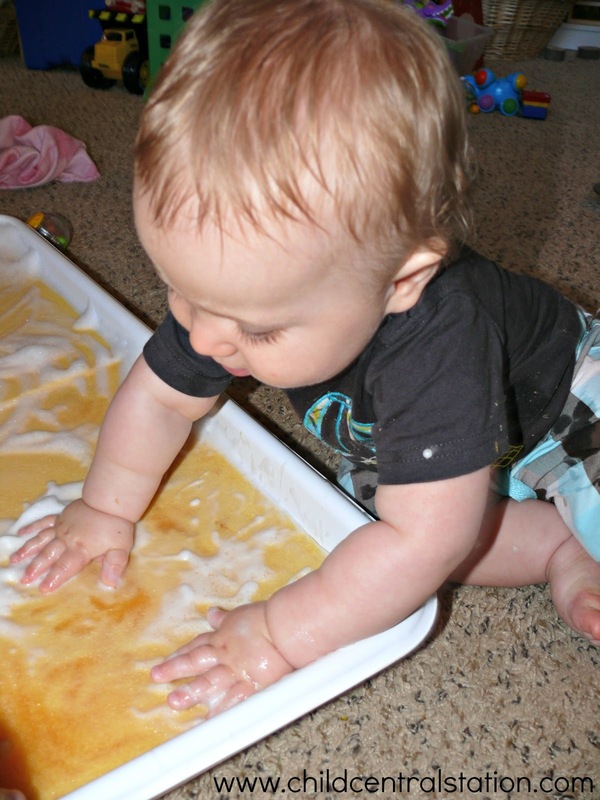 Ours is in 4 pieces that are cut to fit perfectly in the tub. we just happened to have this foam already in smaller pieces. One large piece would work just as well). 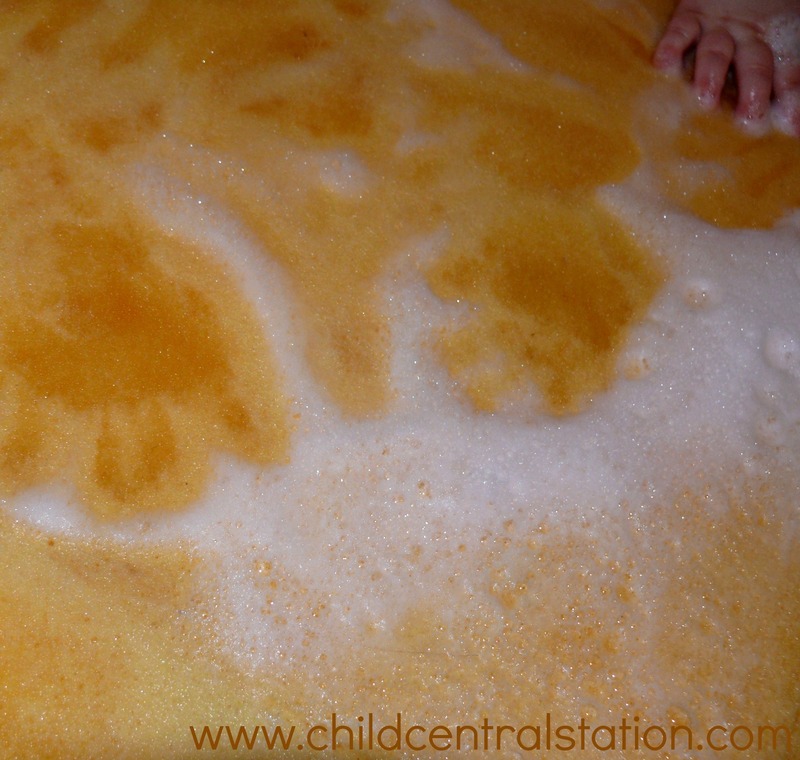 and a little bit of soap for bubbles (optional). than just plain water, but either option will work! 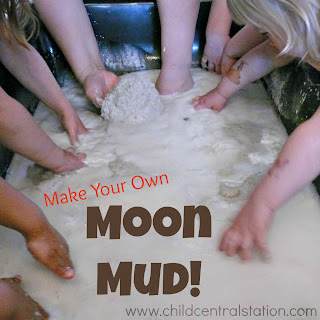 and reach over the edge to participate in exploration. 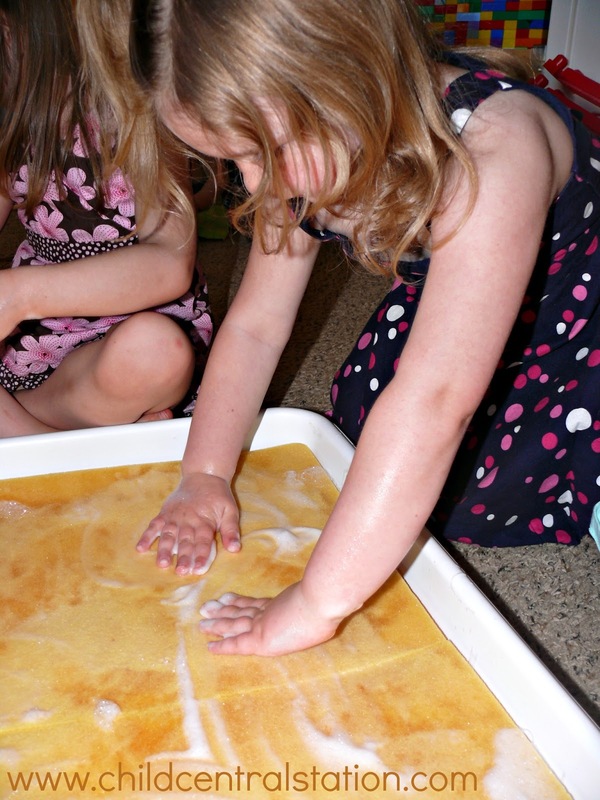 pushing down on the sponge repeatedly creates bubbles! Lots of foamy, fun bubbles! 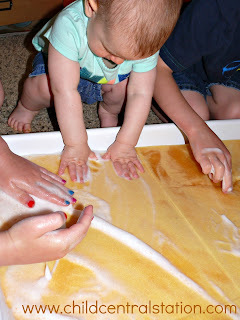 on the sponge foam- your hand-prints become visible! 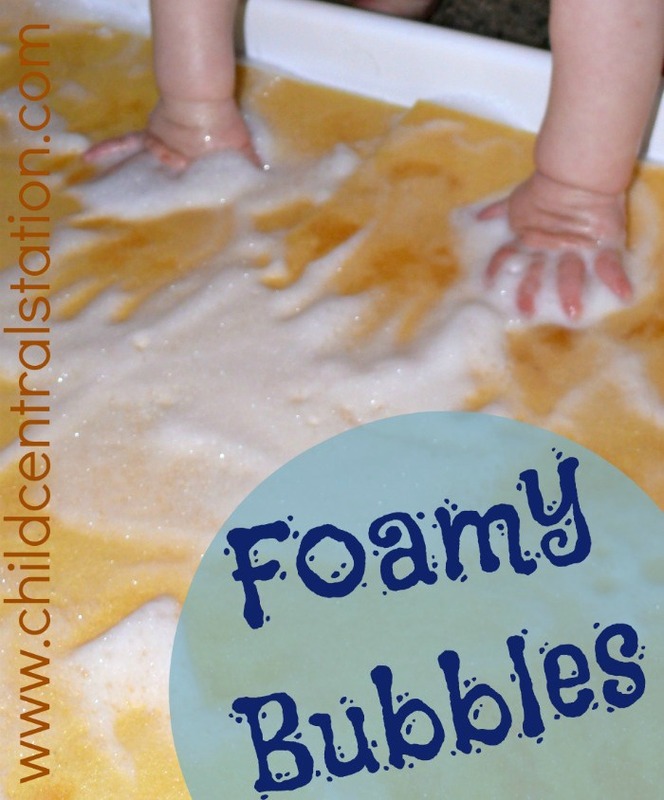 Have you ever made a foamy bubble sensory table? 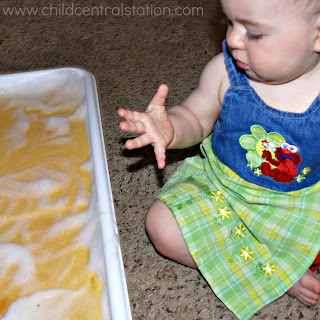 What is your favorite way to cool off with infants and toddlers?